When your hands are cold, it can be hard to enjoy your time outdoors. For those who enjoy hiking in winter, it is important to figure out how to keep your hands warm in cold weather. 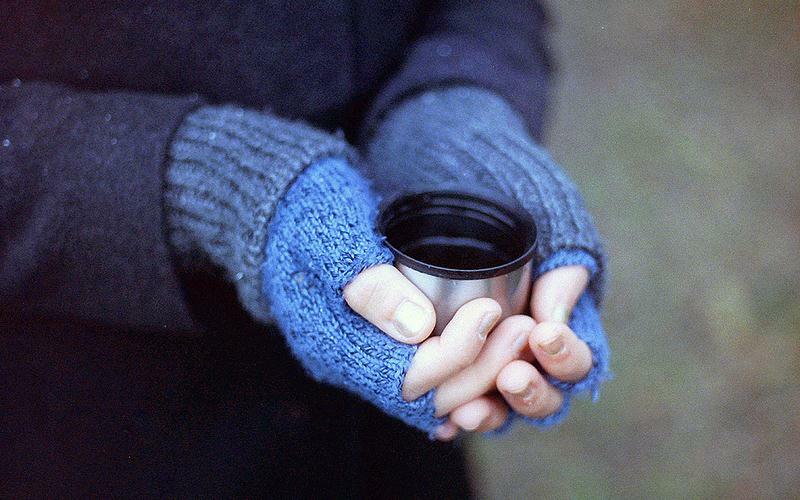 Read on to learn how to keep cold hands from being a problem. 1 What’s The Deal With Keeping Your Hands Warm? What’s The Deal With Keeping Your Hands Warm? It is helpful to understand why your hands get so cold in the winter. For one, like your feet, they have a high surface area to mass ratio. This makes them likely to feel the cold before the rest of your body. Your extremities are also at the greatest distance from your core, which is the part of your body that is creating heat. Without the right amount of insulation protecting your core, your hands will become colder because blood will be taken from your hands to help warm this part of your body. With the understanding that the temperature of your core will impact the warmth of your hands, our first recommendation is to make sure your core has what it needs. The right layering will warm your core and ensure that your blood keeps flowing to your hands, not working to keep your core at the right temperature. This will help keep your hands from getting cold. When hiking in the cold weather, it is pretty standard to wear layers of clothing, including socks. It is important to not forget about layering for your hands. Layering is important when considering how to keep your hands warm when temperatures are cold. There are a variety of ways for you to go about layering and the key is to find what works best for you. We recommend a base layer for your hands to start. Choose a pair of liner gloves; merino wool is a great option. Gloves made of merino wool will keep your hands dry and warm. Should the gloves get wet, they dry quickly and when temperatures are mild they will keep your hands warm on their own. After your base layer, choose an insulating layer for colder weather. Mittens are a great choice because your fingers will create more heat when they are not separated. When choosing mittens, you can consider wool, fleece or down. Particularly when hiking not just in cold weather but rain, wind and snow, add an outer layer on top of your insulating layer. A good choice will be a pair of mittens that will keep rain and snow out for the most part, helping your hands to remain dry and warm. Long gauntlet cuffs can be a good option as they can be cinched closed past your sleeves to keep the cold air and snow from getting in. When choosing gloves or mittens, to keep your hands as warm as possible, you will want to choose the right size. If the gloves or mittens are too big, they won’t keep your hands as warm as they can when sized properly. If they are too small, chances are that a part of your wrist will remain uncovered. A glove (or mitten) fits correctly when there is a small amount of material left at the end of your fingers when extended. If you are ordering online, take a look at the available sizing chart to choose the size that will fit you best. If there isn’t a chart, there should be least be measurements that you can use as a guideline. It’s not like shoes where there are sizes and half-sizes all the way across the board, but a proper fit should be a deciding factor in which style you ultimately choose. In addition to mittens and gloves, a little extra warmth can be had by using hand warmers, which are heat packs for hands. A variety of disposable inserts are available at a low cost that can warm up your hands throughout your hike. We like Heat Factory’s premium hand warmers. Having hand warmers does not mean you want to go without gloves; they are best used to enhance the warmth of your gear. For those who love hiking it is hard to spend months off the trails. Fortunately, while hiking in winter may require some additional preparation, with a few extra steps you can continue to enjoy the outdoors, regardless of the cold temperatures.